An animation of Pluto and its largest moon, Charon, was created using a series of images captured by the New Horizons spacecraft as it continues its long journey to the distant planetoid. Taken from a distance of 422-429 million km, the images are not for scientific study, but for optical navigation between worlds. 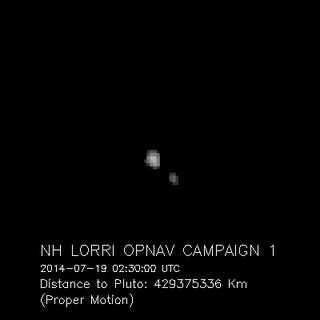 It's going to be at least February 2015 before New Horizons' highest-resolution camera, the Long Range Reconnaissance Imager (LORRI), will be able to get more detailed photos of Pluto and Charon than Hubble can. 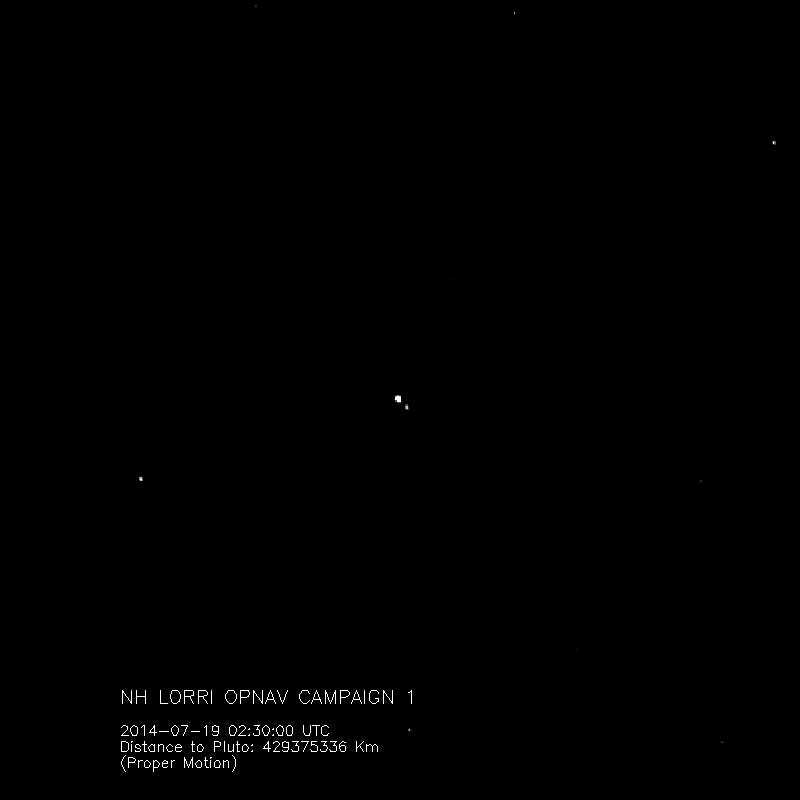 But LORRI is already capable of taking optical navigation images that will help us fix Pluto's position with more certainty than we could achieve with Earth-based observations alone.